A Dot Red explores new perspectives on traditional genres and images found in landscape and portrait photography. By combining historical photographic techniques with more contemporary conceptual strategies, these works shift the focus of attention, and enable a reconsideration of its classical subjects. 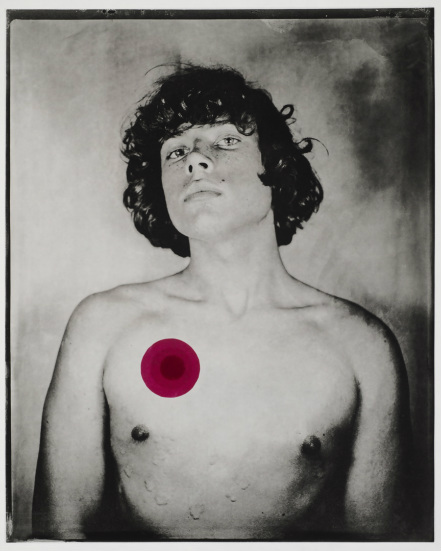 The portrait series, Boys of Collodion, shot as collodion 4 x 5 tintypes and then made into 18 x 24 inch hand pulled photogravures, flips the paradigm of the male gaze with Blackwood's selection of young men exclusively as her model/muses. Christa Blackwood is a photo, text based and installation artist working with themes related to identity, history, and popular culture. Her visual voice was developed while a student at New York University, when she began producing street installation art such as Butcher knives (1991), a work that addressed issues of sexual violence. A chilling juxtaposition of billboard-like close-ups and text from poet Michelle Kotler, Butcherknives, was plastered all over the streets of lower Manhattan on the evening that the William Kennedy Smith verdict was announced. The poster’s timely and provocative appearance resulted in heightened critical attention for Blackwood, including an invitation to join the Women’s Action Coalition (WAC) from renowned artists and scholars, Kiki Smith and Lucy Lippard. Blackwood has studied with the photographer, educator and MacArthur Fellow, Wendy Ewald, at the Center for Documentary Studies at Duke University. She was particularly drawn to Ewald’s focus on utilizing the camera for “helping children to see.” These experiences informed her work as Founding Director of The Children’s Photographic Collective, established in 1995 to increase children’s awareness and understanding of culture through photography. 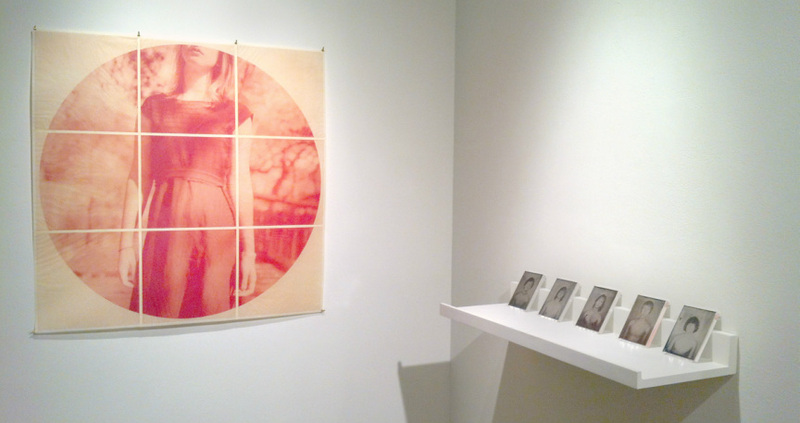 Her dream-like sequences and texts employ multiple techniques and methods, fusing traditional,historical and alternative processes with contemporary practices such as iPhone image-making and street installations. Blackwood received her MA in Studio Art from New York University and BA in Classics from The University of Oklahoma. Her work has been featured in several publications including The New York Times, NYQ, New York Newsday, The Village Voice and The Chicago Sun Times. She has exhibited in galleries and museums throughout the U.S. and abroad.